A beautiful type of coral from the order Stylasterina, Distichopora – also known as lace coral – is a unique type of polyp that develops tiny, blunt branches of various colors. 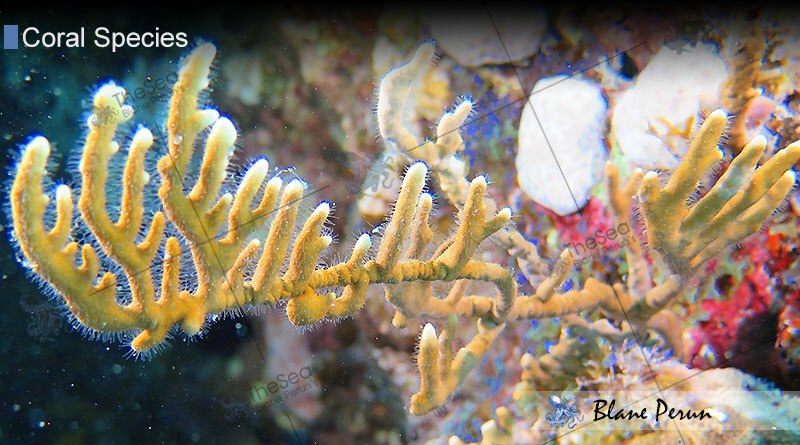 Unlike most corals that are a part of the class Anthozoa, lace corals belong to class Hydrozoa, featuring the distinctive characteristics associated with the class. These include its alternating sexually and asexually reproductive generations and specialized polyp growths. 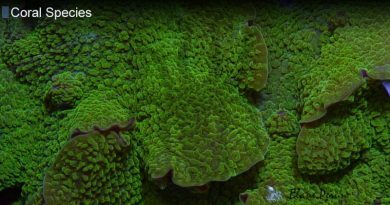 Standing apart from most varieties of corals, lace corals have some polyps that may specialize in capturing prey, while others focus on maximizing the energy received from the food they capture. 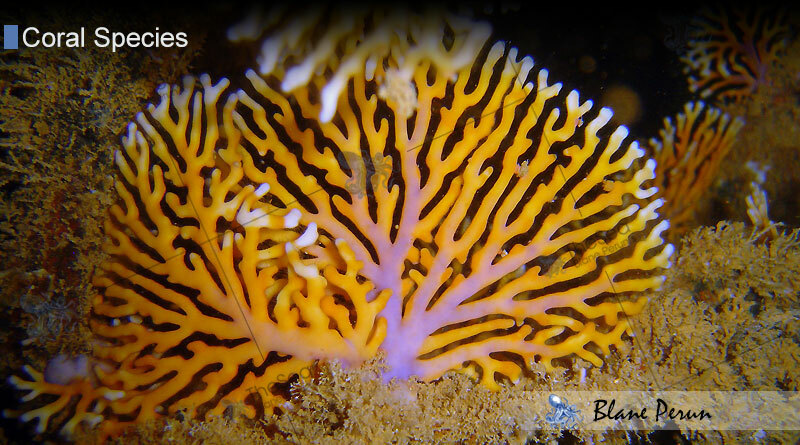 Lace corals are beautiful, colorful corals that come in many shapes and sizes. Their distinctive form features rounded branches that can be colored in various shades of yellow, pink or purple, and some species, such as Distichopora Borealis, are even able to retain their colors after they die. Strands of tissue present throughout the skeleton allows polyps to stay connected to each other, as each harmoniously perform different functions that the coral requires for sustenance. The polyps are housed by an intricate network of pores known as cyclosystems, and the varied arrangement between them determines the specific characteristics of each different species of lace coral. Most of the species are found only in the Pacific Ocean and require very particular conditions in order to survive. 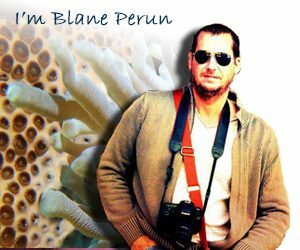 While scientists don’t yet know everything about these unique corals, 34 nominal species were discovered, while an unknown number of true species exists that survive only in very specific areas of the ocean. Lace corals can be surprisingly resilient, depending on the species we look at. They have been found at a depth of up to 1,600 meters and are known to survive at temperatures ranging between 3 and 28 degrees Celsius. Unlike most Hydrozoans, these species don’t have the same symbiotic relationship with algae, and so they do not require as much sunlight. This explains their ability to thrive feeding solely on small zooplankton and growing in deeper, shaded areas or on the ceilings of caves. The skeleton is one of the more distinctive features of lace corals, and depending on the species considered, it can play a diverse range of roles. While its primary role is to support coral growth, in some cases, it also acts as a defense, as some species of this genus grow lids to cover the polyps. Another unique characteristic of the coral is that the polyps are arranged along the sides of the growing branches, while the uniplanular branches are generally arranged to grow towards a current, so that they can easily pick up as many passing food particles as possible. 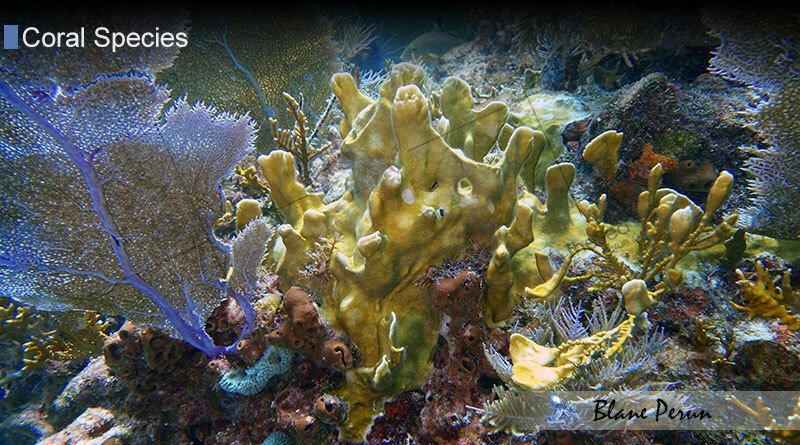 Unlike most branching corals, these mature quite slowly, and their growth cycle is also significantly slowed down. While their reproduction cycles generally includes sexual reproduction, there are hermaphrodite species as well, and this implies that, either male and female gender polyps are present in the same colony, or the polyps themselves are both female and male at the same time. While the full extent of what Distichopora life and growth cycles may imply is not completely known, studies have shown that, in the case of most species, the stages of maturity are not synchronized, females often containing eggs and planulae within the same distinct colony.